For the past five years my family has been getting together for dinner almost once a week! The summer months we tend to fall behind a bit (and also around the holidays just because everyone is so busy), but otherwise we all make a point of getting together for dinner as much as possible. Since mid-November we have found that it’s been harder to get together with holiday parties and gatherings, but we have still been trying to find ways to have a family dinner. 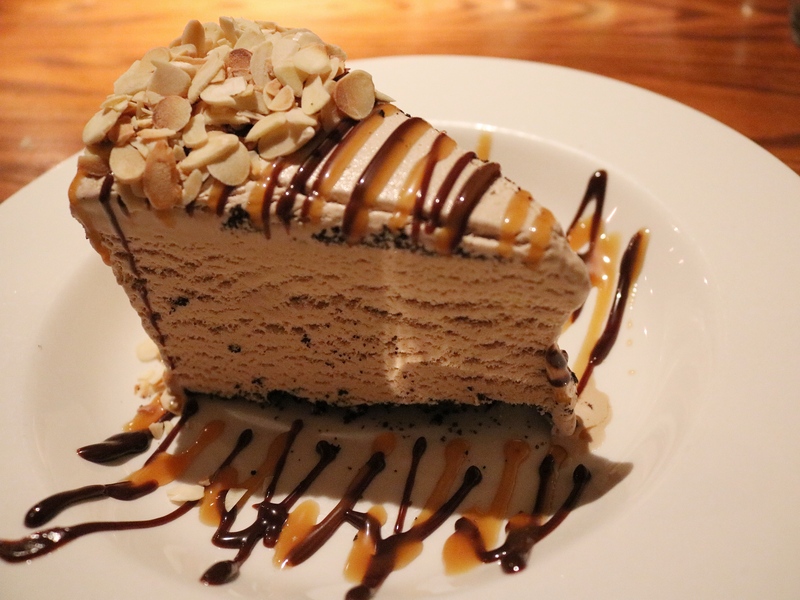 This week we decided to find a fun way to make getting together easier by heading to The Keg! 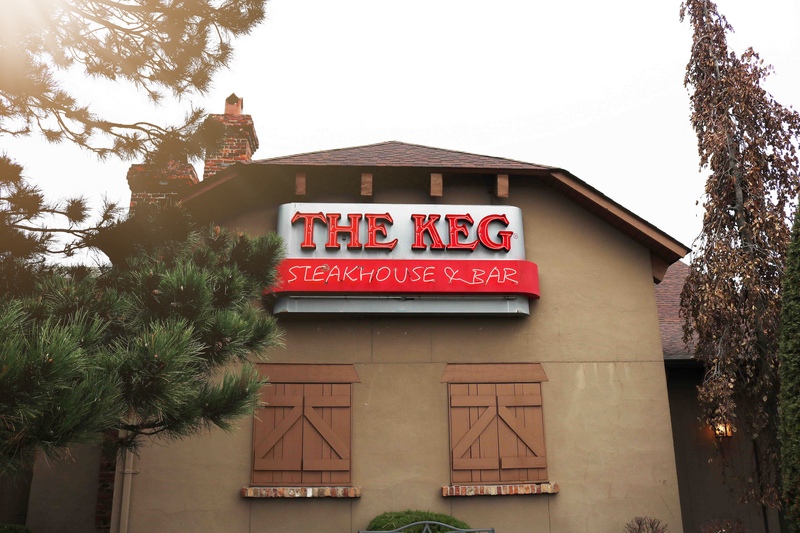 We live only a few minutes away from our local Keg restaurant, and we have been going there since I was a kid! I remember when I was younger thinking it looked a bit like a castle, and knew it was somewhere special that we went to eat. 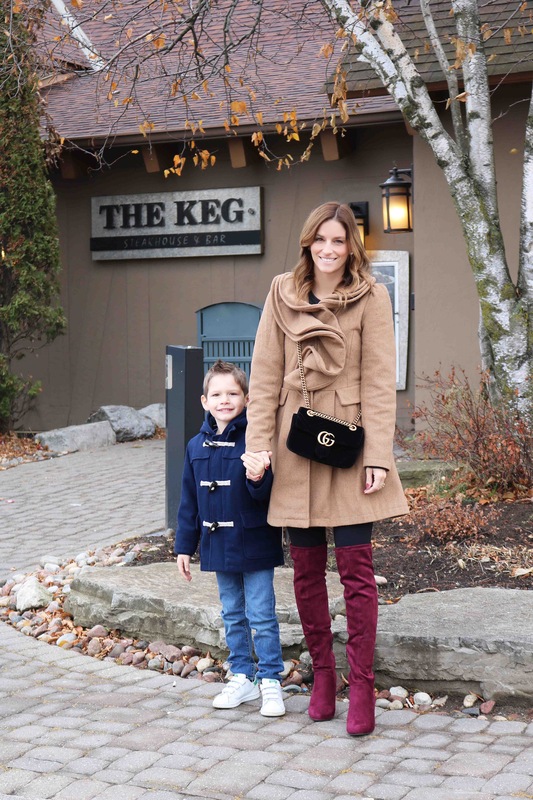 Back when my son was just over a year old I remember having a craving for The Keg, so we decided to venture to our local restaurant with our son. to be honest we were both unsure if they had a kids menu, or if they could accommodate him. We were so happily surprised when not only did they have high chairs, crayons, and coloring pages, but they had a full kids menu. Their staff was also amazing with him on our first visit, so we have been going back as a family ever since. After not being able to schedule a family dinner for a couple weeks because everyone was busy, we decided to call up my parents and tell them to make some time in their schedule to meet us for dinner! 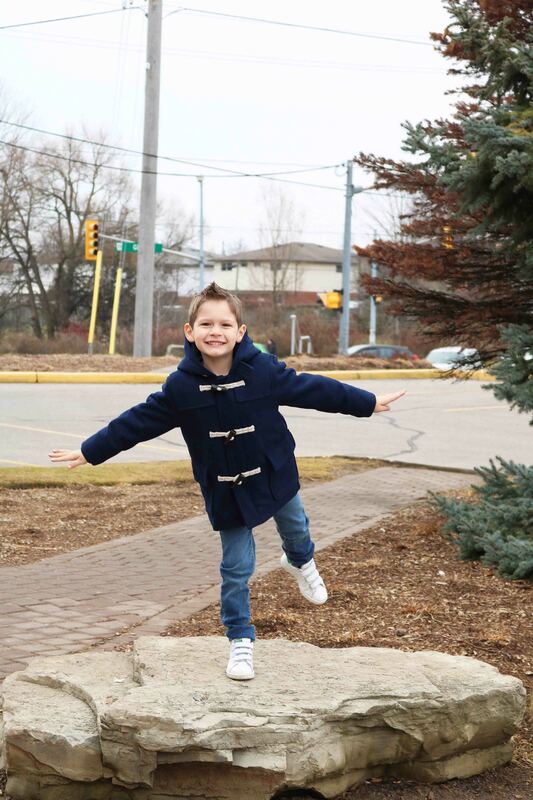 When we told our son we were headed to The Keg he was excited – he said “I love that place”! It was pretty funny that he was so excited! A reservation was made, and we walked right into the restaurant and were whisked into a large cozy booth together without a wait. Many of The Keg’s locations (including the Oshawa one we visited) have extended hours so it’s easy to book a holiday gathering right now. 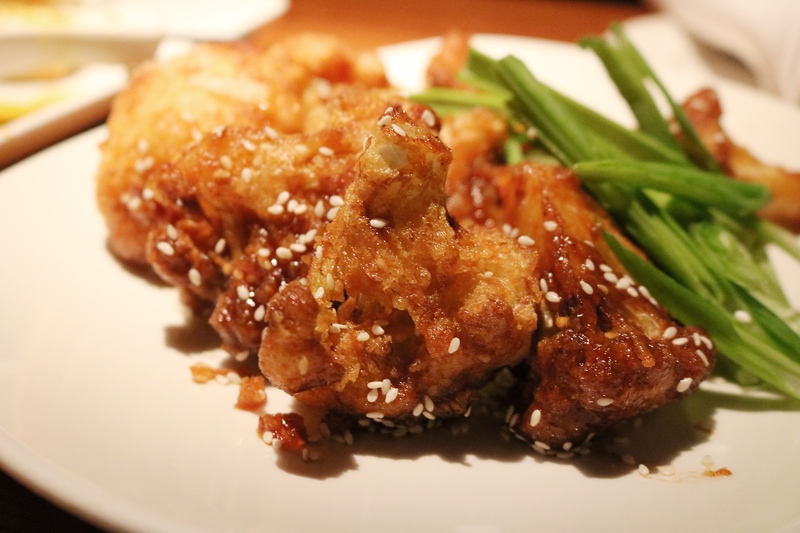 It’s also important to note they have gluten-free and allergy-aware menus so everyone can enjoy! 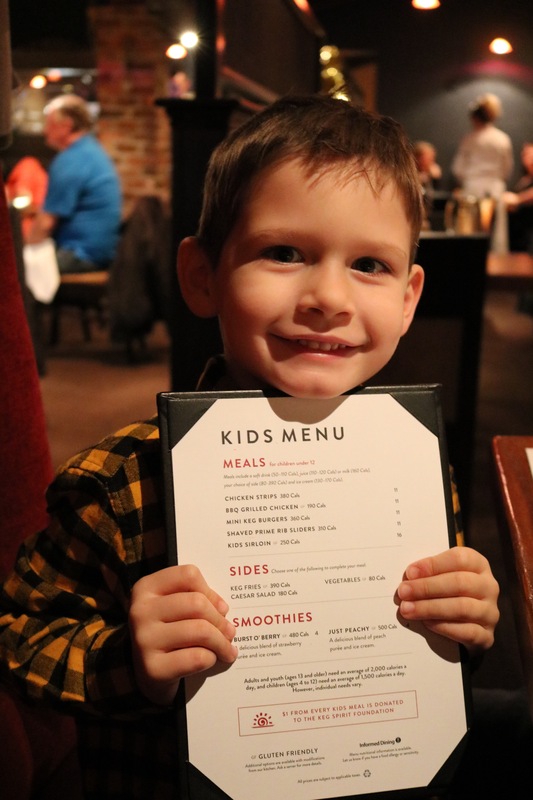 I could see why my son was excited to eat at The Keg once we arrived – he is treated very well on each visit. He was met with crayons and a menu with activities, and after choosing his meal he was brought his own kids appetizer! It included crackers, fruit and veggies, and he did not share! He said it was for kids. Yep, he’s definitely my child. 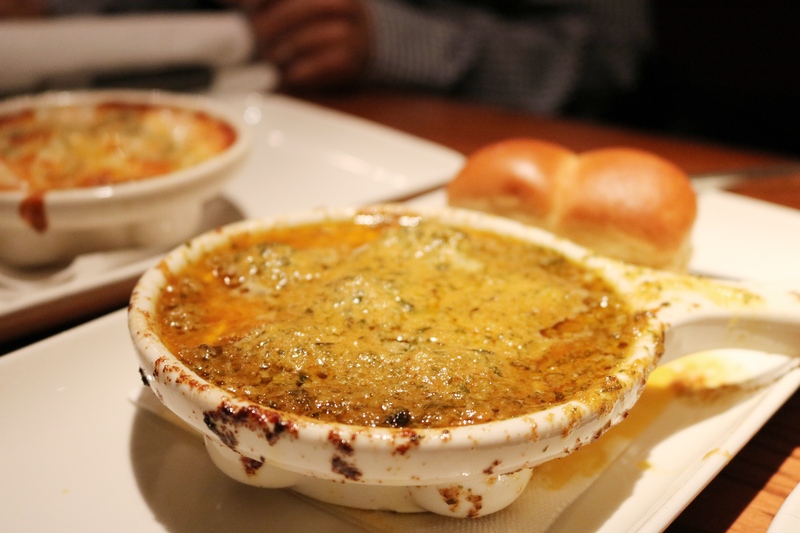 The adults decided to order the Baked Garlic Shrip, Escargot, and Crispy Fried Cauliflower. Our little one stole some of the fresh warm bread brought to the table as we ate – I was worried he would be too full to eat his dinner! Once dinner arrived we weren’t sure how we would eat it all, but in the end I’m pretty sure everyone finished off their plates. 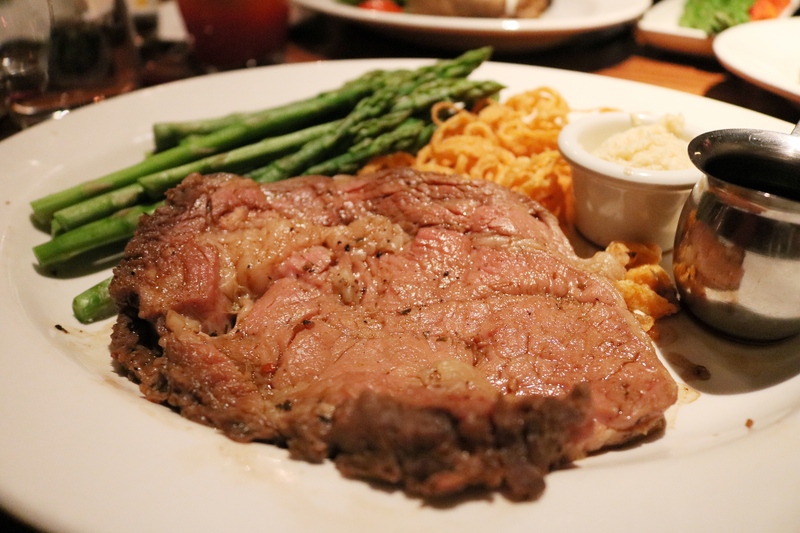 My husband and father had the special which was an 18oz bone-in Kansas City Strip Loin which looked amazing, while I had Steak & Lobster, and my mom had the Prime Rib. 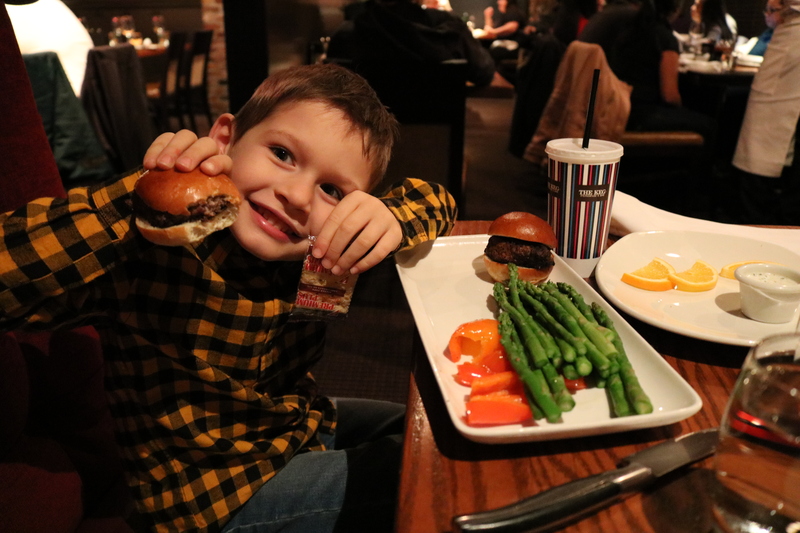 My son had the mini burgers and veggies. I told him if he ate five pieces of asparagus he could have dessert and we had a deal. 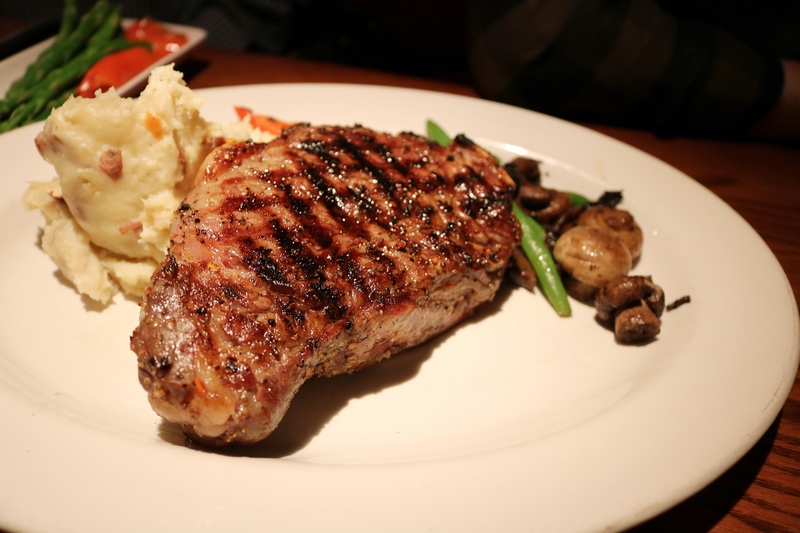 All of our steaks were cooked to perfection. 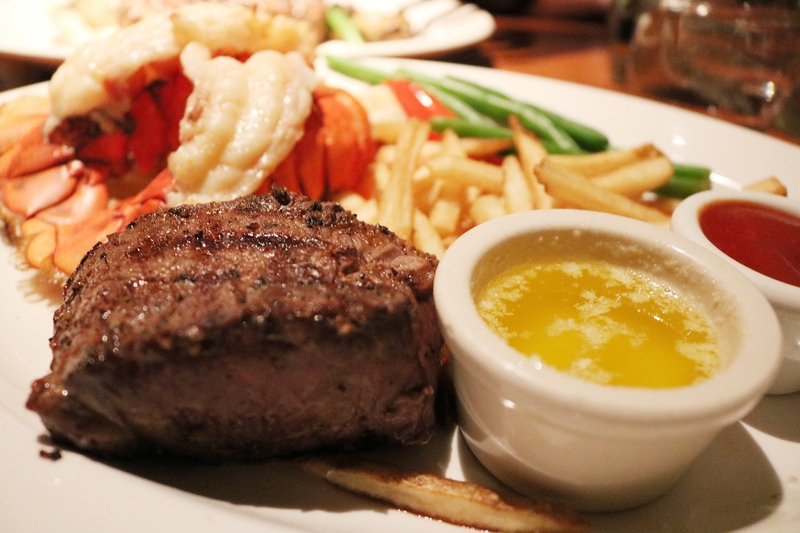 I had recently gone to dinner at another steakhouse and had a similar dinner with lobster as well, and The Keg’s version blew it out of the water! I’m not sure why I thought it was a good idea to have a steak anywhere other than The Keg because clearly it’s their forte! I don’t know how it was possible, but somehow we managed to order and eat dessert! My son had ice cream with caramel sauce, and it even had three cherries on top so he was in heaven. I had the Billy Miner Pie which I hadn’t had before and it was amazing! We also had cherry cheesecake on the table, and Crème Brule. To say we left stuffed would be an understatement. Everything was so good! We were full, but very happy! It was amazing to not make dinner on a Monday, and also to have that extra time with family! With the holidays it can be so hard to make time to spend time with our family, so leaving all of the cooking up to The Keg gave us all a bit of extra time to talk and relax. I have to mention that our server Francois was AMAZING! He was super attentive, and great with our son who was trying to order his own meal. He had some great dinner suggestions as well. It’s so important to take some time to slow down over the holidays. I highly recommend making sure you take the time to fit in a family dinner and enjoy some time with your loved ones. 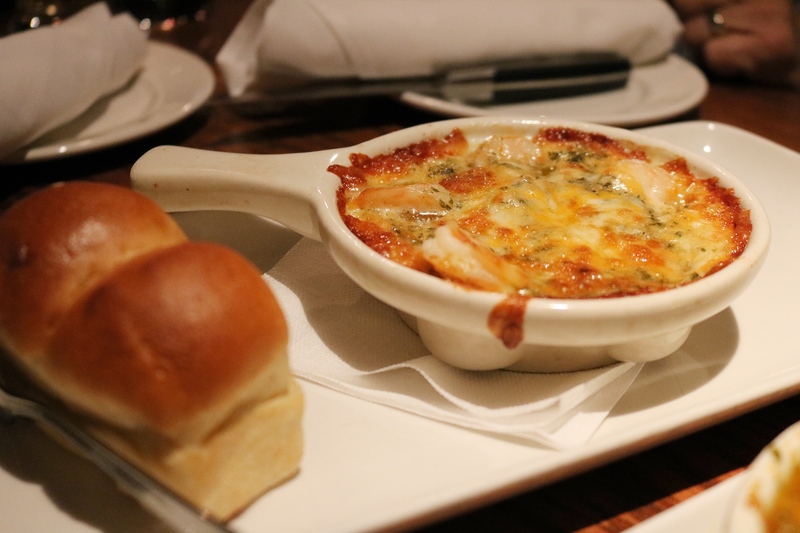 Our dinner at The Keg was the perfect way to start off a busy week. If you are looking for a great holiday gift idea, a gift card to The Keg with card mentioning to the receiver that it would be so fun to get together for dinner in the New Year is a great way to remind them that you want to spend more time with them in 2018, and also a way to secure a possible dinner invite! A little sneaky, I know, but it might be a good idea to plant the seed that you would love to join them when they use their Keg gift card! To learn more about the hours of your local Keg location so you can book your own holiday gathering with friends or family, visit them here! Disclosure: I have partnered with YMC and The Keg and have received compensation for this post. All opinions in the post are my own.